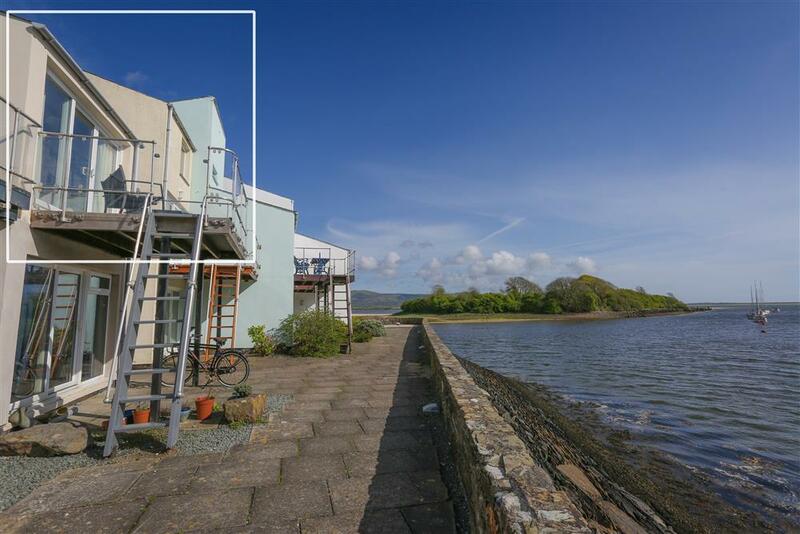 This stylish South Snowdon Wharf duplex apartment, occupying the 1st and 2nd floors, is situated on the popular estuary/harbour side of this select development in Porthmadog. 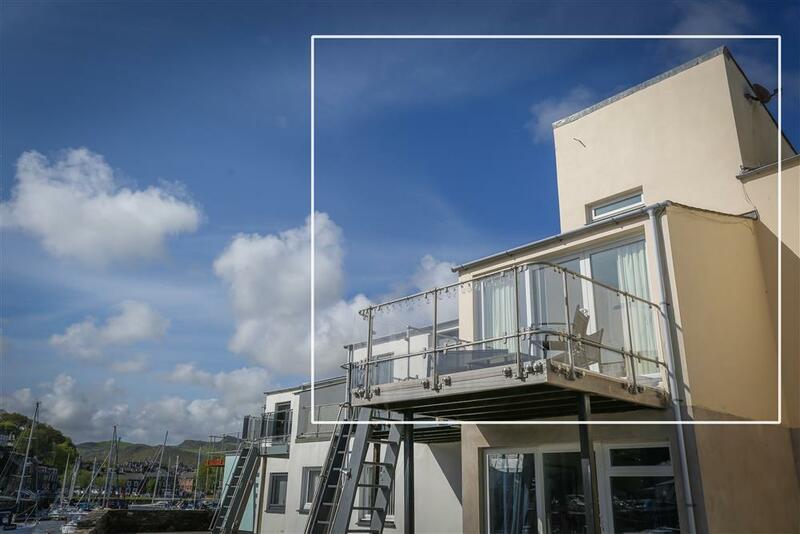 Carefully and comfortably prepared by it's proud owner, it offers excellent accommodation to the more discerning guest with views from the balcony of Ballast Island and Harlech beyond. Within walking distance is Spooner's Bar - serving hot food - a choice of shops, restaurants and scenic walks. 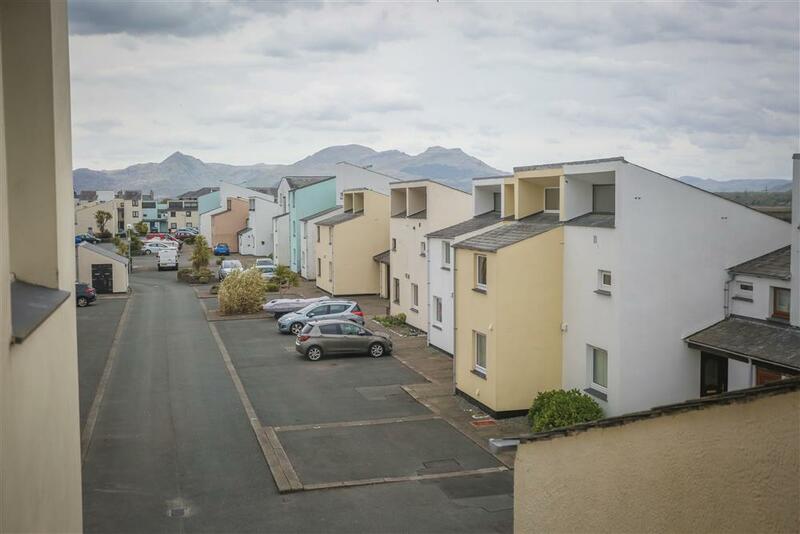 Wildlife and railway enthusiasts enjoy this location equally as it is situated near the Ffestiniog & Welsh Highland Railway station, where steam trains cross the wetlands that attract so many migrant and domestic wild fowl, including an Osprey family in the summer. Portmeirion village is just 2 miles away for a relaxing meander amongst Italianate architecture, Zip World: Titan and Bounce Below are a 30 minute drive up the valley. 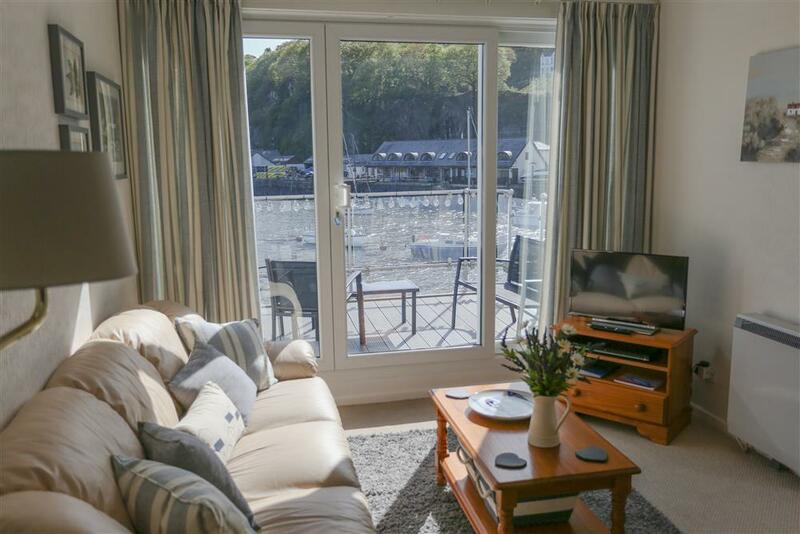 With nearby castles and National Trust properties to visit, sandy beaches and mountains on the doorstep, Porthmadog is an excellent all year round location. 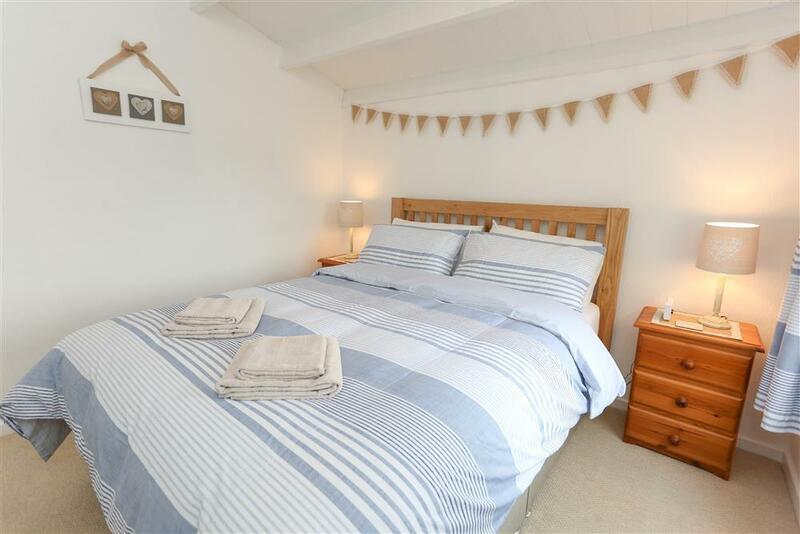 2 BEDROOMS: 1 Kingsize bedroom on the 2nd floor (next to the shower room) and 1 Twin bedroom (two single beds) on the 1st floor, next to the living room. Bed linen and towels provided. KITCHEN/LIVING ROOM: On the 1st floor. 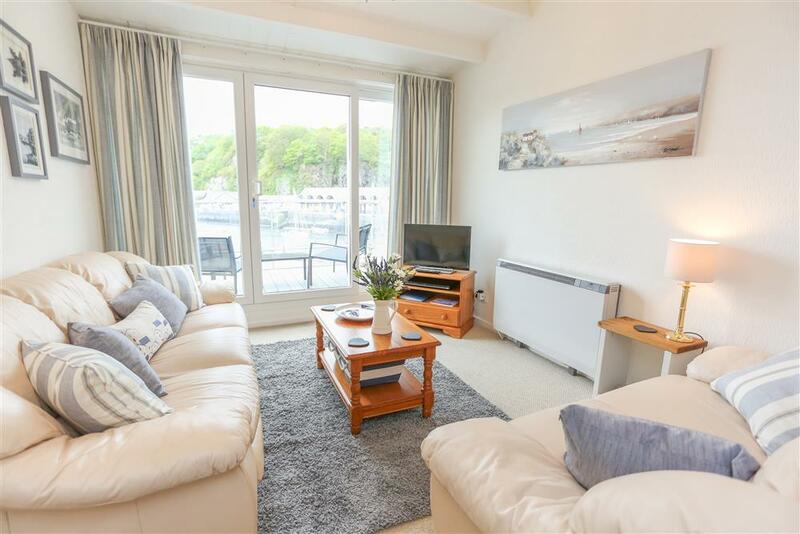 Living room area includes a galley kitchen with electric cooker, fridge, microwave; and a lounge area with a flatscreen TV, DVD player and patio doors to a balcony with furniture and views of the estuary, Ballast Island and the harbour. SHOWER ROOM/WC on the 2nd floor, next to the Kingsize bedroom. 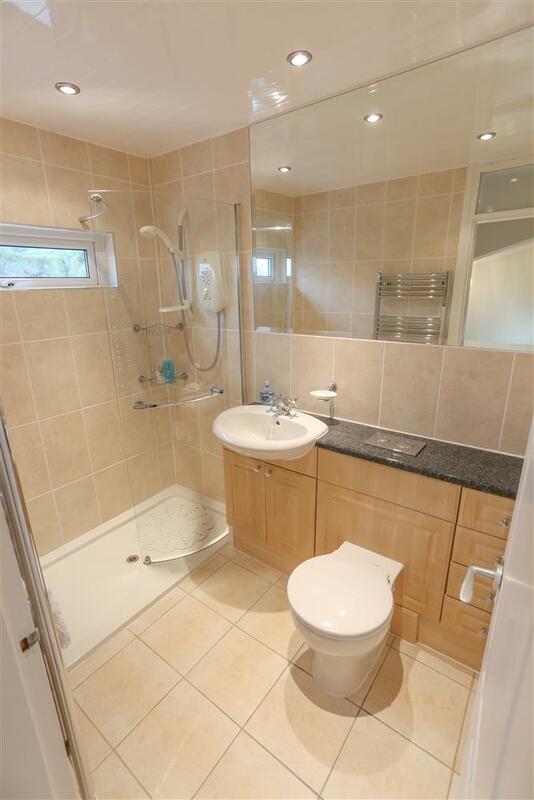 HEATING: Night storage heaters in all bedrooms and heated towel rail in the shower room. PARKING: Allocated parking space for 1 car. FAQ: Access is via a set of steps to a front door in the 1st floor. The ship's ladders that you can see from the balcony are for decorative purposes only. FAQ: It is quite a firm mattress but it does have a mattress topper on it. 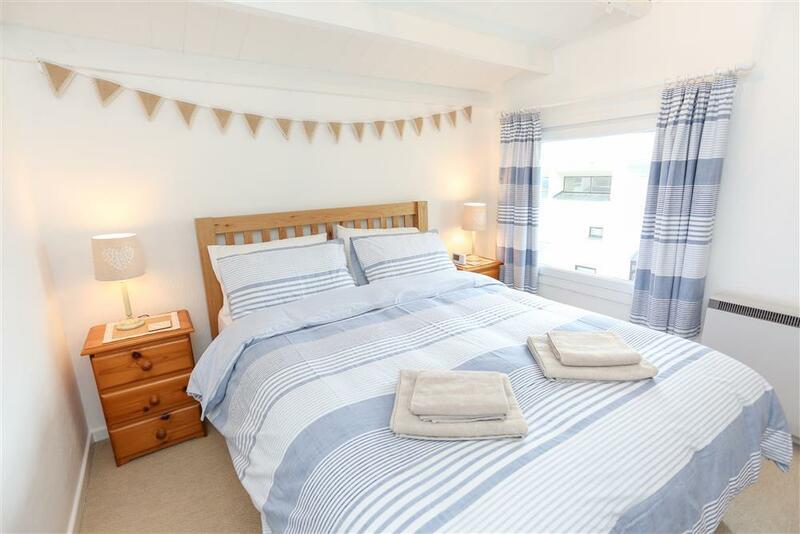 Mini-break rules at this cottage: A mini-break is a holiday for less than a week and/or may start on a day which isn't the normal changeover day (Saturday). 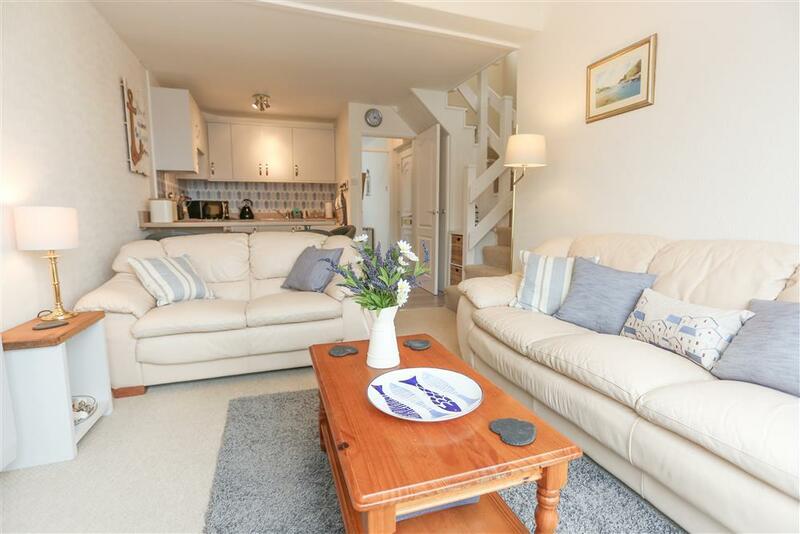 This property owner will only accept mini-breaks at short notice - not more than 14 days before the starting date of the holiday between Easter and October half term and within 56 days outside this time. 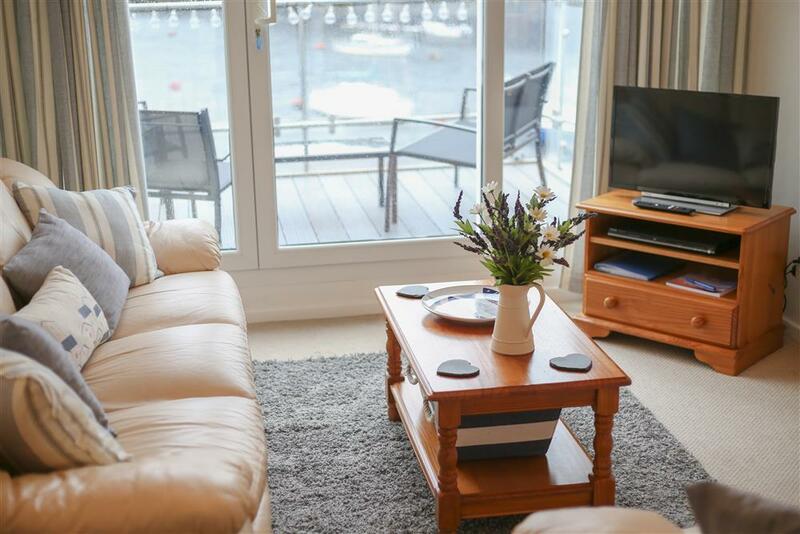 Mrs H (November, 2018): "The apartment was beautifully clean, lovely view, well equipped (although would of benefitted from a clothes drier), well centered for travelling to places. Would love to stay again! Brilliant." Mr R (September, 2018): "The apartment is beautifully decorated and in a lovely position. 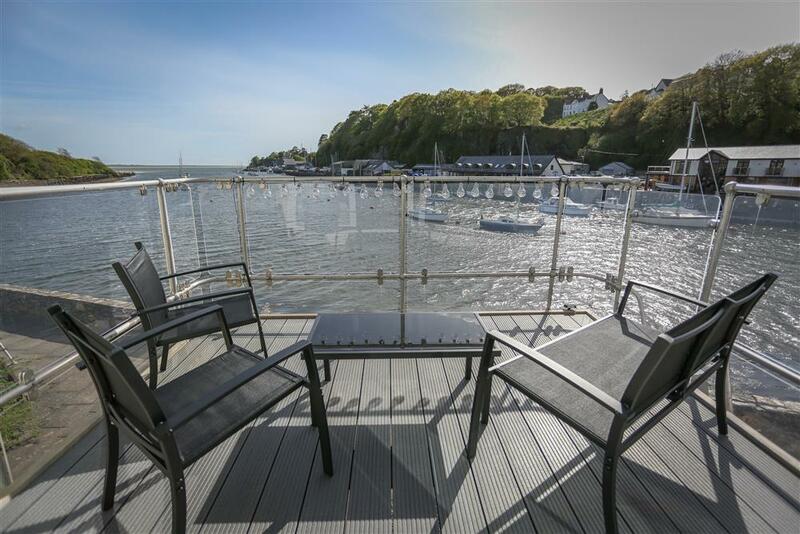 The views from the balcony were stunning and constantly changing." Mr R (September, 2018): "Excellent stay. Look forward to returning." Mr A (September, 2018): "Top location, new condition, fully equipped. difficult to find better. Ms C (July, 2018): "It was hard to fault my holiday from start to finish. The apartment was well equipped, scrupulously clean and cosy. 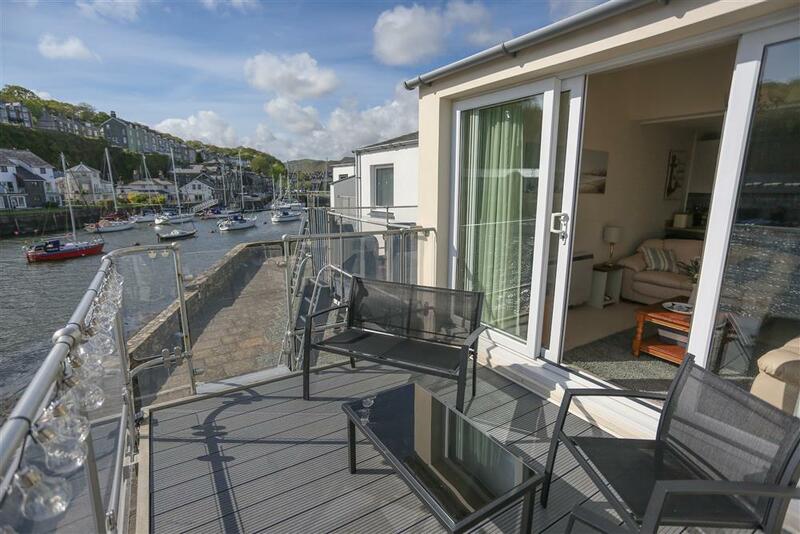 The location was stupendous being right on the waterside and very close to the Ffestiniog railway. I would consider coming back without my car as there are good public transport links. I'd like to give 4.5 stars but it won't let me." Mr M (July, 2018): "Beautiful apartment with fabulous view from the balcony. Everything fresh and new from being refurbished. Would definitely recommend." 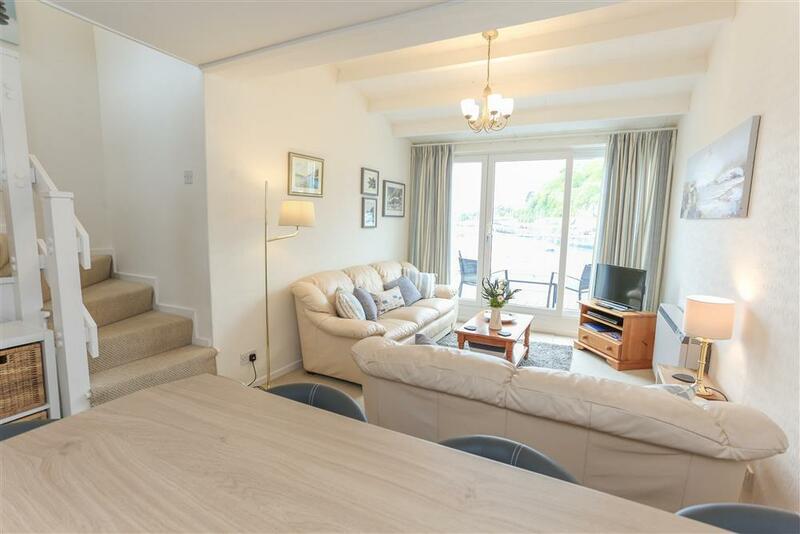 "An attractive first & second floor apartment overlooking the harbour.High housekeeping standrads throughout the property." Approach to the property is from the main road onto a private estate which is well maintained and well lit. There is a marked parking space close to the building for one vehicle and an overflow car park on site for any other vehicles. There is a step up onto the pavement from the parking space. The apartment is on two floors. The 1st floor is on the 1st floor of the building with another apartment underneath. The access to the apartment is up a flight of wooden stairs with a rail on one side. The key is available in the keysafe which is by the front door. This could cause a problem if you have poor eyesight as you have to read the numbers and then press the relevant keys. The living area is on the 1st floor which comprises of a kitchen area, breakfast bar with stools and a living area with settee. There is a TV with a remote control and DVD player. The kitchen area has an electric hob and oven. 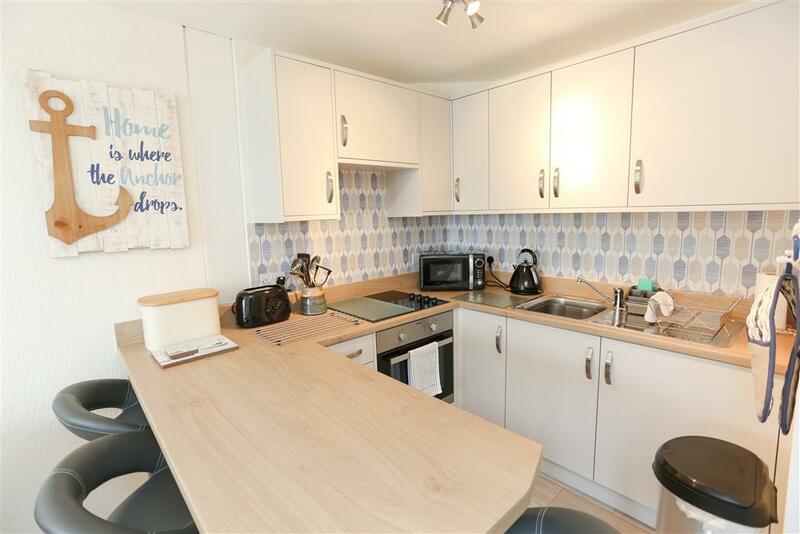 There is a fridge microwave and a very well equipped kitchen. 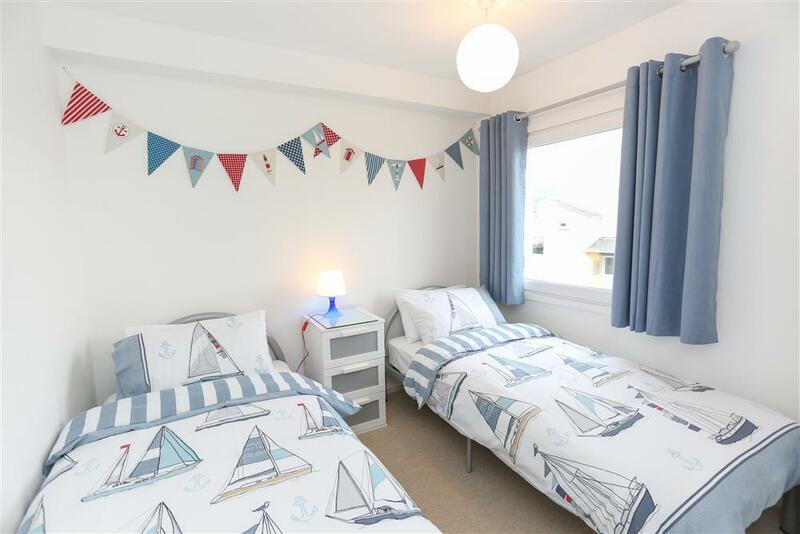 The 2nd bedroom is on the 1st floor and has two single beds. The main bedroom is situated on the second floor up an open plan, dog leg, staircase with a banister on one side only. This bedroom has a king sized bed. 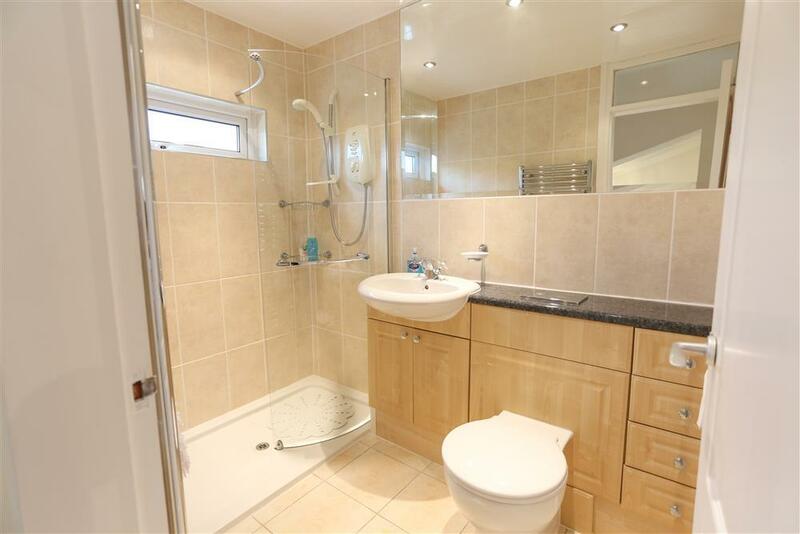 The bathroom is also on the 2nd floor and has a modern sink and toilet with a shower enclosure. There is no grab rail in the compartment. The lighting is good. There are bedside lamps each side of the double bed and between the twin beds. Light switches are at approximately 1200 - 1400mm height, with electric sockets at approximately 300mm. There are ceiling lights in each room. There is a light under the stairs. Kitchen is well lit with fluorescent lights under all the cupboards and on cooker hood. There are storage heaters in each bedroom and in the living area. There is a heated towel rail on the wall in the bathroom. Outside the patio windows is a reasonable sized decking area with 4 chairs and a table. Access is over a step over the bottom of the patio doors.